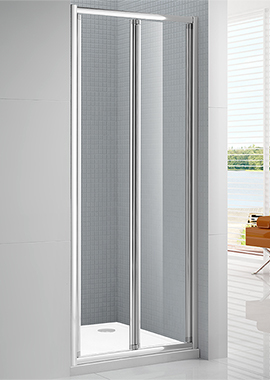 Bi-fold shower doors are made of two pieces of glass with a hinge joining them in the middle. 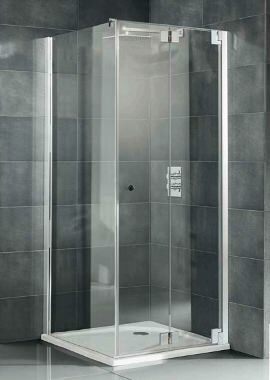 When you open the door, it folds neatly away with one pane of glass on top of the other, a bit like an accordion. 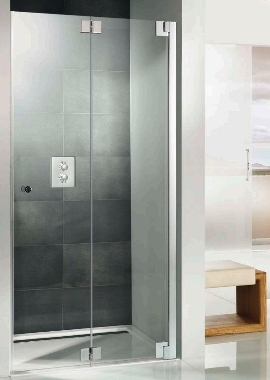 You can find these types in an alcove, recessed, and fully enclosed showers. 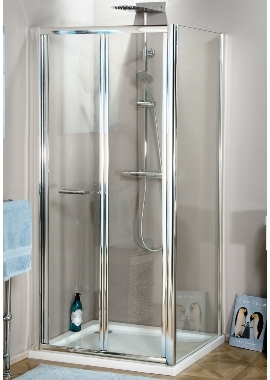 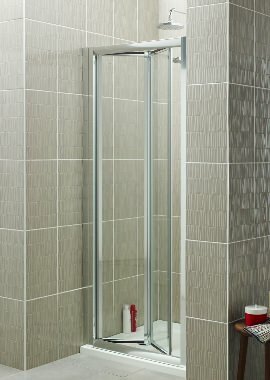 The most common sizes are for 800, 900 and 1000 mm, but bifold ones are available to fit almost any shape or size of the enclosure, including combination shower-baths. 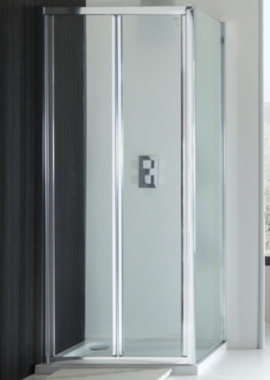 We’ve handpicked our inventory to bring you the best quality and value on the market. 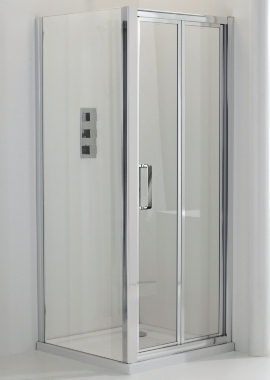 We offer a wide variety of styles in this range, with over 30 available options, and we’ll work with you to ensure you find the best bifold shower door for your needs.